The law enforcement program is a special system that can help an individual to act in an organized manner to enforce regulations by discovering, deterring, rehabilitating, or even punishing people who violate the principles and norms governing this society. Although the term law enforcement services may encompass entities like courts and prisons, it is most frequently applied to people who directly engage in patrols or surveillance to discourage and detect criminal activity, and people who investigate crimes and prosecute criminals, a task typically completed by the authorities or law Enforcement Company. Furthermore, private law enforcement may be most concerned with the prevention and punishment of crimes; organizations exist to discourage a huge array of non-criminal violations of principles and standards, affected through the imposition of less severe consequences. You should always go for top best law enforcement agencies to get the best services. Seed Consultation is one of the most trusted law enforcement consultant companies that can provide you with guaranteed improvements. Our law enforcement training classes are specially designed to make you understand the rules of society. We are offering you the best seasonal law enforcement training programs that will allow you to enforce the law in the most effective way. Probably you will find few other law enforcement organizations around you, but no one will be able to provide you outstanding improvements and benefits like us. 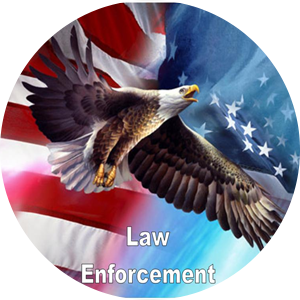 According to our clients, we are one of the finest law enforcement agencies USA.